This article is sponsored by G FarmaLabs, leaders of the global cannabis revolution specializing in cultivation and manufacture of marijuana-infused products. As a little girl, Miami-born Nicole Gonzalez spent summers with her grandfather at the tobacco fields he owned in the Dominican Republic, Nicaragua, and Honduras, learning about the harsh realities of farming life. Each visit meant one long month away from her friends and family in South Florida. Ata’s father finished a sixth grade education before he had to begin working, pushing a vegetable wagon to earn a few nickels to bring home to his mother. This strong work ethic carried over to Ata, where he learned the basics of business at a young age. “I grew up at my father’s businesses, whether it was the meat market or the three Cuban restaurants he would end up owning. I remember him buying me a pack of 100 little cars and explaining to me that he paid 25 cents per car, and I should sell each individual car for 50 cents to double my money.” By age five Ata was put to work at the cash register, learning how to give his father’s customers exact change. Both say that “it was love at first sight.” The meeting turned into a friendship, the friendship into a relationship, and today a total of five children are the product of that first special moment. Over the years, Ata and Nicole have developed an “amazing and mutual respect” for one another; a Yin and Yang balance they claim to have recognized right away when their friendship started and progressed into a deep relationship. He traveled from San Diego to Humboldt County during that year and soaked in a lot of marijuana knowledge. In January 2010, Ata rented a small apartment just outside of San Francisco as he began looking for a farm to move his pregnant wife to California. With just $7,000 left in savings, Ata located a farm with seven acres of land in July of the same year. The two borrowed $10,000 to procure the necessary agricultural supplies and pay rent until harvest in October 2010. In the meantime, they attended Oaksterdam University to learn how to grow marijuana and make sure their first harvest was a success. Their second child, Isabella, was born one month before their first harvest of a 99 plant outdoor grow in Lake County, California. 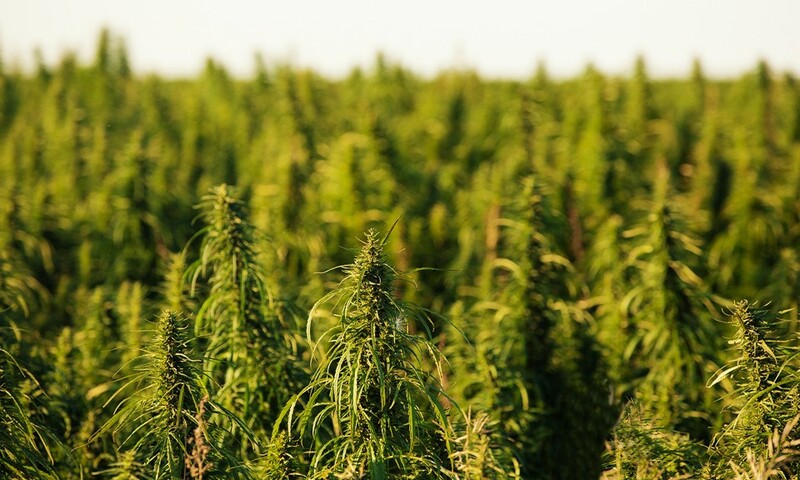 Ata and Nicole left management in place at the farms in Northern California and moved eight hours south to SoCal, where the bulk of California’s medical marijuana patients live. The pair operated retail dispensaries and saw the opportunity to transition into creating a brand. They began to learn how to turn trim and flower into extracts for manufacturing cannabis-infused products. “We were the first out of the gate as a complete cannabis brand with edible chocolates, concentrated cannabis oil for vapes, and a line of pre-rolled marijuana cones,” Nicole says. Timing was crucial as they were first to market right when the industry launched internationally. The G FarmaLabs brand was created right before the Cole memo was released in 2013, and two weeks later they were present at the National Marijuana Business Conference & Expo in Seattle which, to date, is the biggest cannabis trade show for the industry. G FarmaLabs places its success on three key factors. First, the parallels between the cannabis industry and the tobacco industry played perfectly into Ata and Nicole’s background and experience. Though the harvested tobacco leaf and the cannabis flower are different plants, the goal is the same: produce better yielding crops with greater quality year after year. The cigar industry also outlined a roadmap to what’s happened this far and what may continue to develop in the future. At least that’s how the Gonzalez family sees it. “Infusing every convenient store product with cannabis is our goal, and being the number one globally-recognized and well-built brand is what we strive for every day,” says Ata. Finally, and perhaps most importantly, they balance each other’s strengths. Nicole, as Chief Operations Officer, manages the day-to-day company business. Her hiring policy is simple: “The people we hire have to be the best. If they aren’t the best, this isn’t the company for you.” She seeks account executives who excel at customer service, and seeks people who look after their client needs with a focus on quality control and long-term retention. Ata is the Company Visionary, focusing on the next moves and scaling the company with an eye to the future. His focus ranges from developing new markets and product lines to developing new market segments. The future of G FarmaLabs lies in Ata and Nicole’s family. Of their five children (aged seven, five, four, three, and two), the eldest, Abriana, might be the only one who already knows a little about the industry. But for their generation, with the speed of cannabis legalization across the U.S., it won’t be a secret or a problem that their family runs a cannabis company. And to their parents, it is important to normalize the work as part of the children’s upbringing. The kids’ experience in their parents’ work is being at the office and seeing spreadsheets and the management of employees, the same as any other company’s office operations in America. Ultimately, these children are being groomed for the board room, and to one day take over the reigns of this family-run and operated company. As for Ata and Nicole’s families’ concerns about their “risky” venture? “Family members are coming out of the woodwork now,” Nicole laughs. “They’re all eager to work with us in the cannabis industry.” Their hard work and persistence is paying off, showing that the American dream is still alive, it just may be waiting to be discovered in a sea of green. 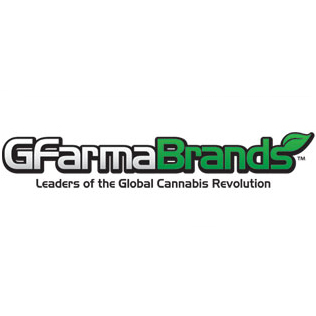 G FarmaLabs are leaders of the global cannabis revolution specializing in cultivation and manufacture of marijuana-infused products.